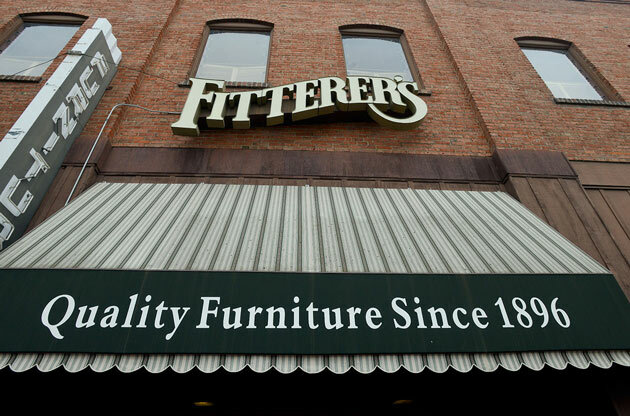 For more than a century, we at Fitterer’s Furniture have taken care of our customers by serving their interests and remaining true to ourselves. Whether you are an employee, customer, friend, or community member, you can rest assured that we will do the best possible job of taking care of your needs and remaining true to our core values. This is as true today as it was 20 years ago, 40 years ago, and even 100 years ago. Fitterer’s was founded upon a belief that we are here to serve you. We take a more holistic approach to business where the customer comes first. Fitterer’s north facing store front. The store you see today at the corner of 4th and Main in Ellensburg has evolved over the decades to specialize in quality home furnishings, as opposed to the past, where many different household items were sold, everything from floor covering and linoleum to curtains and draperies, and even further back, to more fundamental household goods such as pots and pans. When we first opened our doors in 1896, we sold everything from pitchers and bowls, to pots and pans, and knives and forks. The inventory back then was sometimes auctioned salvage from the Northern Pacific Railroad, and we easily could have evolved into a hardware store. Historically, though, we should have been a funeral home, because that’s what most furniture stores on the West coast started as. However, Fitterer’s evolved a bit differently in that we actually started as a furniture store. 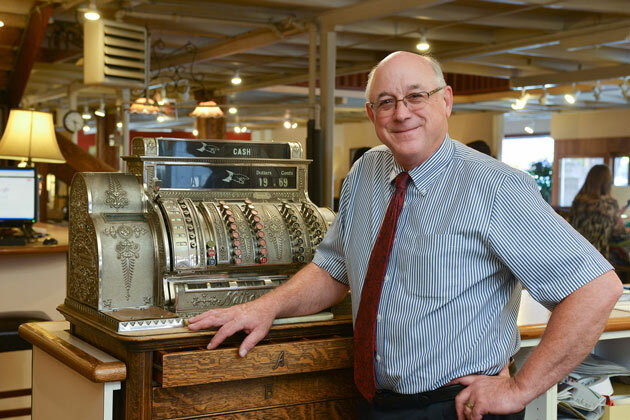 Fourth generation owner Brad Fitterer at the store’s original brass cash register. Furniture has always been our primary focus, and with your continued support, we hope it remains that way for another 100 years. To learn more about our rich history, just download our 100th Anniversary booklet originally printed in 1996 for our centennial.  It contains lots of interesting information and photographs about the business and about Ellensburg’s storied past as well. 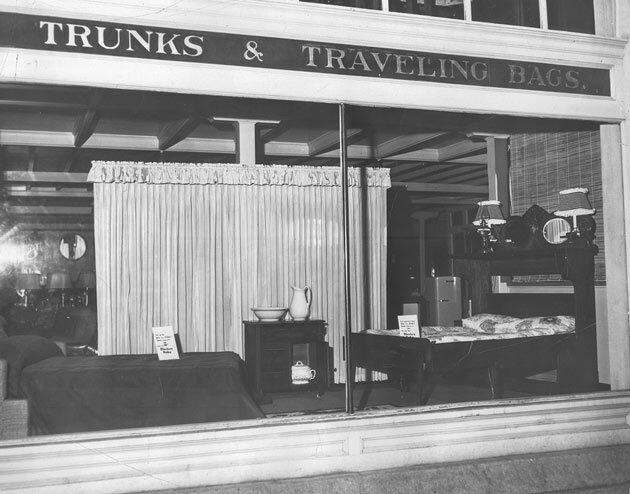 Fitterer’s front window during the 1950s. Fitterer’s delivery truck from early 1900s.